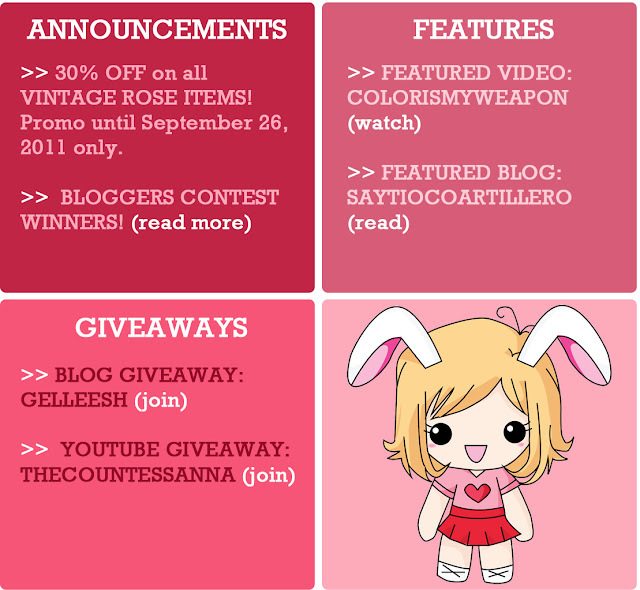 I already picked two winners for my tinypinkbow bloggers contest! Thank you for all the dolls who joined this giveaway. I'll be announcing another giveaway soon! So please stay tuned for more info by following @imisskatv on twitter. Layout by: TinyPinkBow 2011. Simple theme. Powered by Blogger.